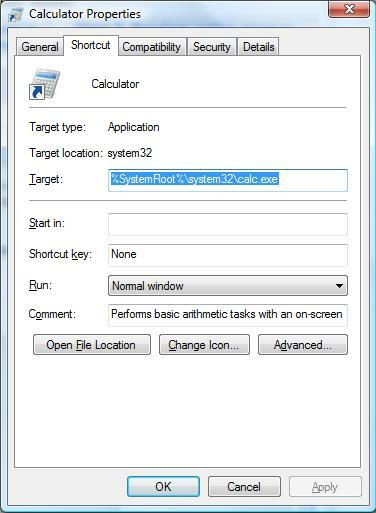 Windows & Network Administrator Portal: Why does my calculator pop up on my screen while I am typing? Why does my calculator pop up on my screen while I am typing? Go to the Calculator shortcut on your start menu and right click on it. Select Properties, and look to see what keyboard shortcut is assigned to it. In my case, I don't have one assigned, so it says "none". What ever yours says, if you don't want it, just clear the field and you'll be set.